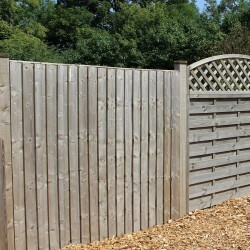 Garden structures, railway sleepers, fencing and decking have become an integral part of UK garden design. 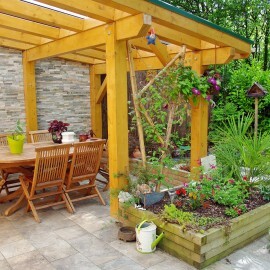 Although we're not blessed with the greatest of climates, the UK homeowner enjoys their garden and the benefits that it can offer by extending their usable living space into the great outdoors. 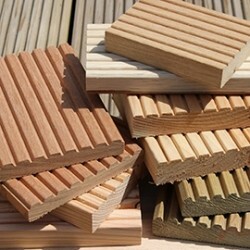 Here you will find components for pergolas, decking kits, timber cladding of various sizes and species, fencing products, railway sleepers and many other materials that will make the construction and landscaping of your garden regardless of the size and location that little bit easier - the only limit is your own imagination. We are a fully traditional sawmill where we have a vast array of processing machinery allowing us to cut to order, so should you require a different size to our standard sizes, then please do not hesitate to contact us as almost any requirement is possible! 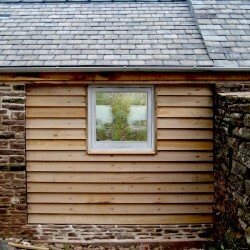 UK Timber Limited is one of the largest suppliers of railway sleepers in the UK. 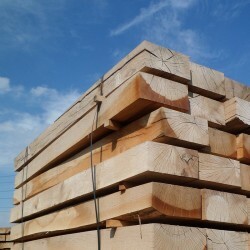 We supply both softwood and hardwood sleepers, both treated and untreated, as well as new and reclaimed railway sleepers - our range of sleepers provide effective solutions for all landscaping projects. What makes us unique to other suppliers is our nationwide crane delivery service, so regardless of where you are, we can deliver to you a handful of sleepers or as many as full arctic loads. Without a doubt, we feel that we offer the most complete range in the UK!